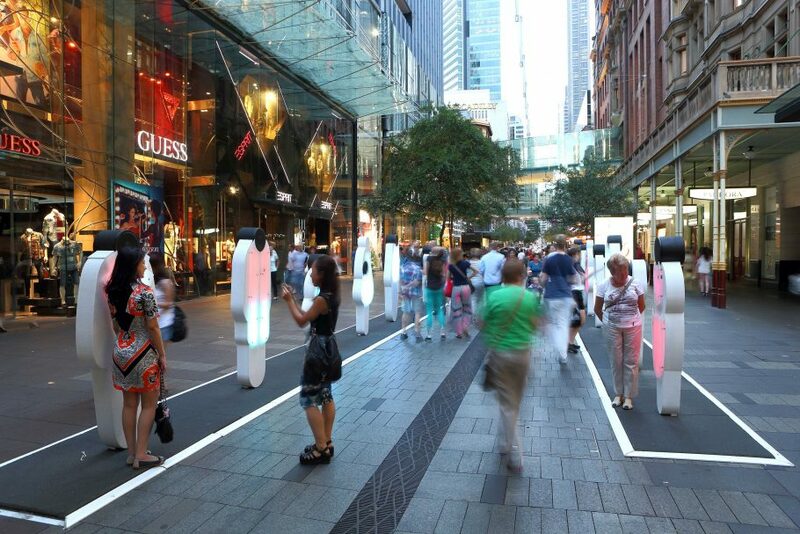 Spackman Mossop Michaels in association with Tony Caro Architecture, were engaged to provide a complete package of design services for the Pitt Street Mall Upgrade. 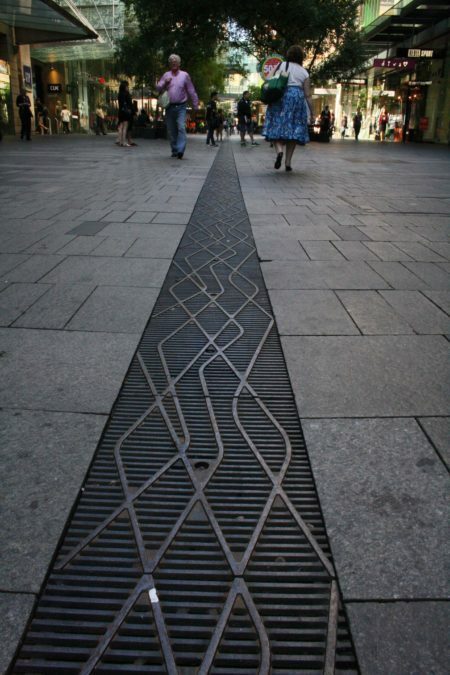 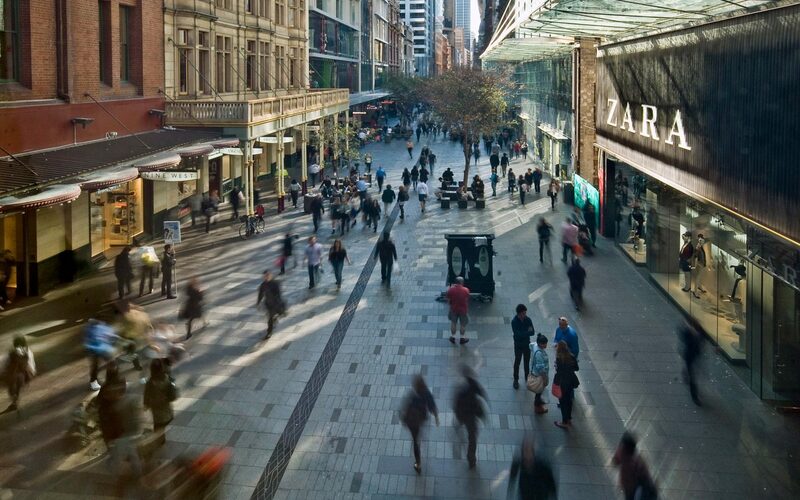 Previously allowing service vehicular traffic and with ongoing maintenance issues for the City, replacement of the original paving provided a platform for a much needed, long-term improvement to Sydney’s premier retail destination. 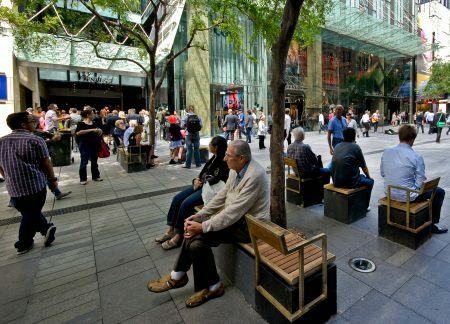 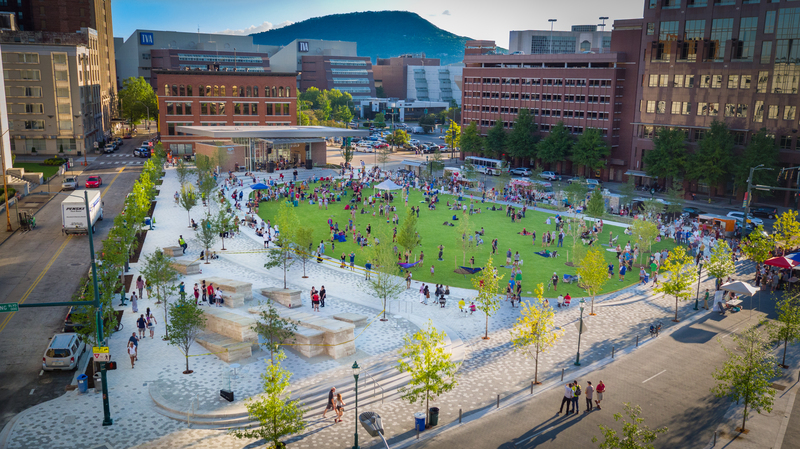 Removal of service vehicles significantly enhanced the pedestrian environment, while high quality and finely detailed finishes and furniture have create a rejuvenated and vibrant public space.